The New Brunswick Museum's annual BioBlitz revealed several new species in the province. The New Brunswick Museum's annual BioBlitz revealed several new species of lichens, fungi and slime molds in the province during its two-week data collection tour. Dozens of researchers and biologists spent two weeks in the Nepisiquit protected natural area near Mount Carleton Provincial Park collecting data on new or undescribed species. 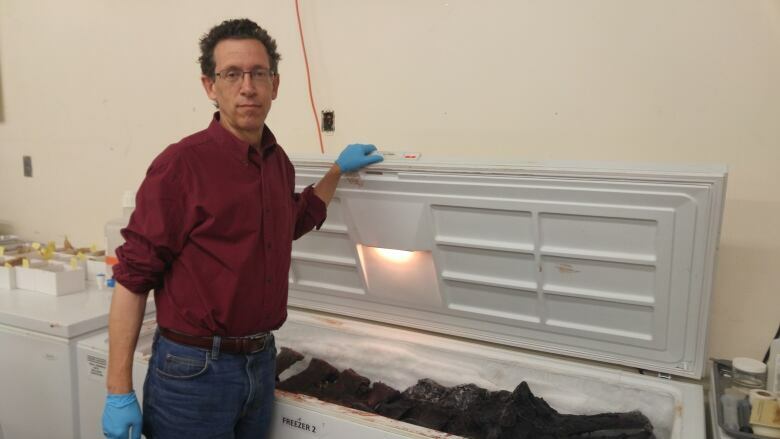 Don McAlpine, research curator of the zoology department and head of the natural science at the museum, said they found lichens that are new to New Brunswick. They also found fungi and several species of slime molds that haven't been reported in the province before. "We won't know in its entirety what we found for probably — it could be six months up to three years if it takes that long to work up the material," he said. It's the second year the museum's BioBlitz has been in the area. Last year, a new species of ant was found on top of Mount Sagamook. This year, they found the same ant on Mount Carleton. McAlpine said it's not out of the ordinary to discover so many new species. "There's lots to discover here particularly among species that are not well known, like fungi or lichens," he said. "It's just an indication of how little we know about the environment around us."